A recent pilot survey of thousands of Burmese refugees in Thailand could play a key role in gauging possible large-scale repatriation. “The whole idea is to get a sense of refugee sentiment about their future beyond living in the camps,” Vivian Tan, regional spokesperson for the UN Refugee Agency (UNHCR), told IRIN in Bangkok. According to The Border Consortium (TBC), an umbrella group of NGOs working along the 1,800km Thai-Myanmar border, there are close to 130,000 refugees from various ethnic groups in nine Thai government-run camps in the area, many of whom have been in the country for decades. 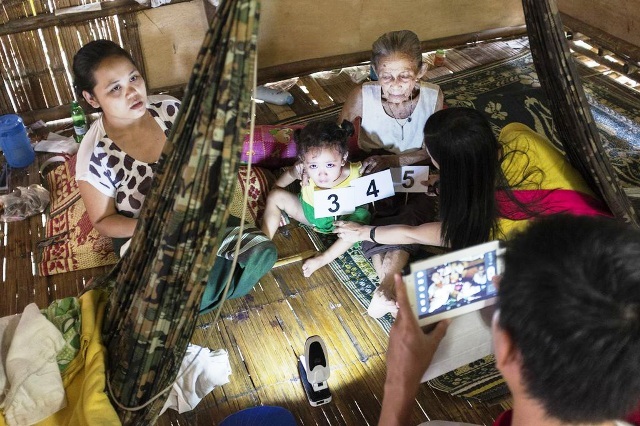 More than 6,000 households at the Mae La camp near the Thai border town of Mae Sot took part in the survey, which was launched in mid-June and concluded in mid-July. Refugees were asked their preferences over voluntary repatriation, third country resettlement or whether they wished to stay in Thailand. It also compiled data on refugee hometowns, family size, education levels and what kind of job skills they had or needed. Funded by UNHCR, the survey was conducted by more than 100 staff from the Mae Fah Luang Foundation, a Thai NGO. Preliminary findings were unavailable, but final results are expected in the coming weeks. Tan said there were no concrete plans for repatriation, but conceded results of the survey could help agencies prepare refugees, such as through vocational training, should the programme move forward. Local media reports speculate repatriation could happen by 2015 when Myanmar will hold its next general election. But many refugees were reluctant to take the survey, which could be traced back to households, believing they might be bound to their original choices. No decisions have been made to expand the survey from Mae La - the largest camp with about 46,000 refugees, most of them ethnic Karen who fled across the border in the early 1980s amid fighting between Karen rebels and the Burmese military. Since 2011, Burmese President Thein Sein, a former general, has introduced sweeping reforms and ceasefires with various ethnic rebel groups, sparking greater interest in repatriation. However, many areas where refugees once lived present security and infrastructure issues. Several obstacles stand in the way: landmines, land disputes, the lack of basic services and guarantees from the Myanmar authorities to ensure the safety and rights of returning refugees, Tan said. Burmese government officials, Karen leaders and other stakeholders held initial discussions on repatriation this year, but no details have emerged, said Saw George. “We need to have a relationship of mutual respect and understanding before we can work together,” he said. Meanwhile, Thai government officials have on several occasions given assurances that there is no rush to close the refugee camps. Even if these are false promises, a voluntary and sustainable repatriation would be in their best interest to prevent an uncontrollable surge of people crossing the border again, Tan said. “Ideally, repatriation would be completely led by what the refugees want,” the UNHCR official said. Lahpai Hkam, ancien combattant rebelle, n’a pas cessé de souffrir depuis qu’une mine antipersonnel lui a arraché la jambe droite lors d’un affrontement avec des soldats du gouvernement, il y a 18 mois, dans l’État Kachin, au nord du Myanmar.